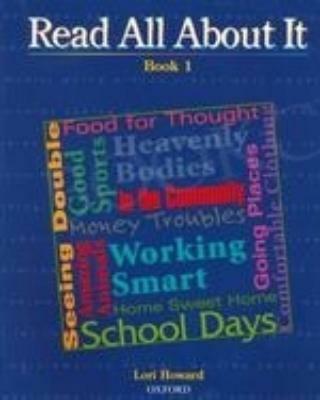 Read All About It - CD (1) (Level 1) by Howard, Lori on ELTBOOKS - 20% OFF! High-interest reading material to develop reading, thinking and problem-solving skills. The readings have been chosen for their high-interest value to adults and young adults. They are taken from a wide variety of authentic sources, such as news stories, magazine articles, biographies, folktales and poetry to provide a range of reading experience. The 12 units are thematically based around topics such as clothing, food or housing. Each unit has two readings on the same topic, giving students the opportunity to explore the topic in depth and to reinforce and expand their knowledge of related vocabulary. Reading skills, vocabulary and critical thinking are developed through a wide variety of pre-reading, reading, and post-reading activities. Vivid photographs and illustrations support the readings and help to clarify meaning. The books invite co-operative learning, with numerous opportunities for pair and group work. The books enable independent learning with a removable Answer Key and Remember the Words, a student's personal vocabulary diary. Teacher's Notes are provided for both novice and experienced teachers. A Cassette for each book contains clear, easy-to-understand recordings of all the reading texts. The books can be used independently, or with the support of The Oxford Picture Dictionary. Themes in the readers correspond to those in the Dictionary, and a Wordlist with page references to the Dictionary is provided. 2,840 円 2,272 円 ∼ 20% OFF!